Multibillionaire globalist David Rockefeller has died at the age of 101. Rockefeller was the last surviving grandson of John D. Rockefeller, the founder of the Standard Oil Company, which he built into an oil empire that made him America’s first billionaire and transformed his family into one of the most powerful in the world. David Rockefeller was a renowned banker and philanthropist who controlled Chase Manhattan bank for more than a decade. Rockefeller worked diligently to spread globalist neoliberal capitalism to the world, and in the process, wielded uncanny global political influence. His forays into international politics also drew criticism, notably in 1979, when he and former Secretary of State Henry A. Kissinger persuaded President Jimmy Carter to admit the recently deposed shah of Iran into the United States for cancer treatment. The shah’s arrival in New York enraged revolutionary followers of the Ayatollah Ruhollah Khomeini, provoking them to seize the United States Embassy in Iran and hold American diplomats hostage for more than a year. Mr. Rockefeller was assailed as well for befriending autocratic foreign leaders in an effort to establish and extend his bank’s presence in their countries. The billionaire died in his sleep at home in Pocantico Hills, New York, on Monday morning as a result of congestive heart failure, according to a family spokesperson Fraser P. Seitel. Rockefeller is a prime example of the dominance of ruling elite oligarchy. He stood at the pinnacle of private/government collusion and was often used as an intermediary in diplomatic negotiations — a back channel. 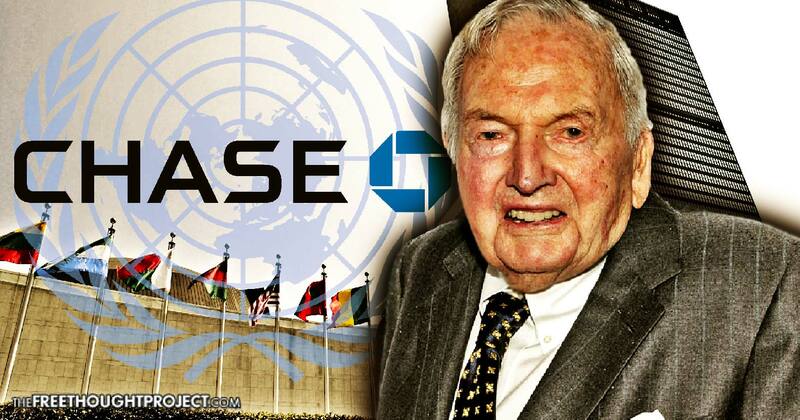 Rockefeller did more to shatter the sovereignty of nations and push the world toward a one world globalist government than anyone else in history. Rather than allowing individuals to decide the trajectory of their own societies, men like Rockefeller have worked tirelessly to shape the world to operate by their own designs.